eBook – Portable and personal, the fixed-layout ePubs feature integrated audio files to support the clear easy-to-follow pronunciation activities in each book. PronPack 1-4 eBooks are available on Kobo and iBooks. Paperback – Want to browse through a book? Need copies for your school staffroom or resource centre? 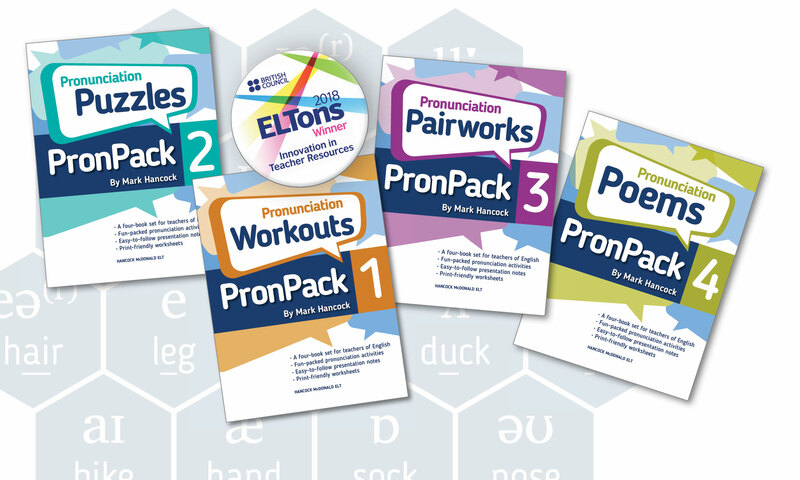 Get your hands on printed copies of PronPack 1-4 from BEBC bookshop, Amazon , Wordery, Bookery (Australia), the SBS in Brazil or DES (Greece/Cyprus).